You usually feel pretty good about your work experience, education, and resume. That is, until you start looking for the job of your dreams. Suddenly, your alma mater isn’t as impressive as your competition’s and your previous experiences don’t look as interesting. Your resume just didn’t sparkle the way it seemed to just a while ago. 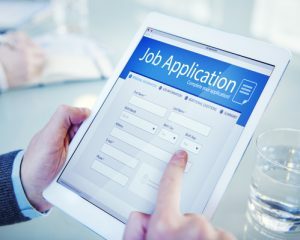 Everyone who’s ever applied for a job knows that no matter how high your self-confidence was to begin with, it’s going to take a hit, especially if that search seems to go on and on and seems fruitless at times. You could be doing all the right things, but the stars just haven’t aligned for you. Someone else could be a better fit for the job, or the hiring committee might already have had someone else in mind when they put up the mandatory posting. In these cases, all the things you’re doing – writing amazing cover letters, getting star references, and putting together an enviable portfolio – won’t make one iota of difference. Job hunting – especially for a job that’s highly sought after – is hard! Still, with a positive attitude and a determined mindset, your efforts will eventually pay off. “We’ll call you and let you know,” the hiring manager said after your interview. You thought the interview went fairly well. You said all the right things, and the manager seemed sufficiently impressed by your experiences and resume. As you shook their hand and left the building, you felt a bounce in your step. You imagined yourself sitting in your new office, telling your friends you got the job, and went home to wait for a call that never came. Ouch. That hurts, especially when you gave it your all and thought you nailed it. But it happens to everyone. Maybe another candidate was perfect for the job. Maybe hundreds of people applied. Maybe the manager was planning to promote someone internally. Keep in mind that just because you weren’t chosen doesn’t mean you wouldn’t have been great at the job. Don’t let this crush your ego. Keep working, and another opportunity will come up. Better yet, call and ask the hiring committee what you could’ve done better. Just say you’re getting feedback to improve your performance for future interviews, they’ll understand. Then there’s the flip side of the coin; the interview went badly. You froze during a specific question or screwed up some information about the company. Maybe you didn’t know an answer to a question. These things happen to everyone, and usually, preparation is the problem. Look for a list of commonly asked interview questions, then prepare answers for them in advance. You really wanted the job, and when you didn’t get it, your ego was crushed. Take this as a learning experience. Maybe you’re still short a few qualifications, need to boost your cover letter, or be more confident next time. Take the opportunity to brush up on some skills and when the job comes up again (and it will, trust me – people move on), you can apply again, and next time, you’ll be ready. The key is to learn as much as you can from applying to jobs and going to interviews. Practice makes perfect. Eventually, you will find yourself acing that interview for your dream job.